Fresh bunker available at market rate…please call to reserve by Thursday evening. Picnic at the boatyard afterwards. $30 entry fee also gets you a vintage Husted’s Landing tee shirt and a welcome to our picnic fish fry afterwards. Tournament winner gets an embroidered Carhartt jacket with Husted’s Landing design “Man holding a fish” on the back and your name embroidered front left chest. And of course, the bragging rights and having YOUR PICTURE displayed in the store wall plaque. This tournament is mostly for fun….and of course to get the season going. Fishermen must leave and return to Husted’s Landing marina and catch a legal fish Saturday April 29, 2017. 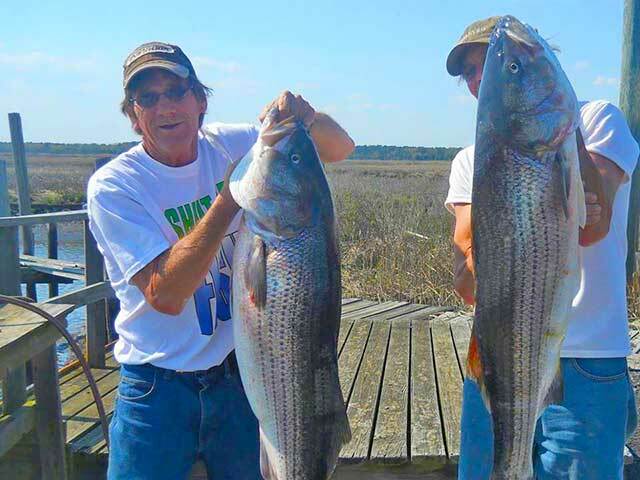 Longest Striped Bass wins it (lip to tail), tied lengths decided by weight.